Sing the praises of Christian womanhood! Through psalms, poetry, and prose, the Bible uses the beauty of language to communicate the vision, purpose, and mission of wives and mothers that once defined American family life. Gathering heartwarming and inspirational verses from Scripture, America's historical writings, and even antiquity, Phillips provides blessings and encouragement for your glorious calling. 126 pages, hardcover. Wise women will desire to bless their husband’s vision by embracing the specific affirmative and negative biblical commands given to them for this very purpose. Those who do will become a sanctifying influence on their household, grow in spiritual maturity, and become God’s vehicle for their husband’s spiritual revival. This series is meant to encourage both wives and husbands with the principles and the practicalities for men and women growing in family vision for the Lord. By Douglas W. Phillips. Approx. 1 hr. 40 mins. This is a difficult age to be a woman. 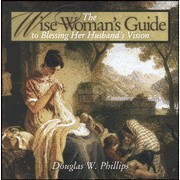 The woman who aspires to raise children for the glory of God, to develop the ministry of the home, or to co-labor with her husband is deemed “old-fashioned” or “unfulfilled.” The modern lure of independence and career has bewitched an entire generation to exchange the beauty of Christian womanhood for the temporary enticements of a society at war with the family. Amidst this confusion, Kathleen Norris’s Mother is a refreshing call to sanity. Mother is the fictional tale of a young lady who leaves home and repudiates family life in the hope of finding personal fulfillment through independence and a career. She decides that home life is a poor choice in the face of life in the big city. But God dramatically changes her heart as she realizes that wealth and position are illusory and that independence can enslave a young lady. 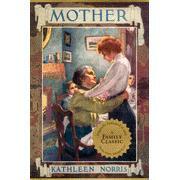 She discovers that the greatest woman she has ever known is her mother and now she longs for home and motherhood. Don’t let the title fool you. This is not just a book for women who keep home. Home-Making is an uncompromising vision statement for the domestic bliss and cultural dominion of the Christian family. 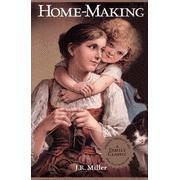 The message of Home-Making is powerful: “Sisters, Brothers, Husbands, Wives — Home life is meant to be beautiful, ennobling, and victorious!” God intends for each person, from parent to child, to play a role in family life, the ultimate goal of which is the transformation of the individual, the home, and the society for the glory of God. Miller puts into writing truth that we need to hear but are usually too afraid to say. He carefully addresses each member of the family, managing to find the perfect balance between inspiration and exhortation. Beall Phillips writes, “Sometimes all of us get swallowed up in the day to day duties and lose sight of the beauty in family life. We all need our vision renewed and our hearts encouraged. This book does just that. I was deeply moved and my very heart was touched as I read the beautiful descriptions of biblical family relationships. I was inspired. My vision was refreshed. Hardback. 266 pgs. As a homeschool mom, you juggle so much! Housework. Curriculum planning. Teaching. Discipline. If you've ever felt like you're drowning or wondered whether to continue, this book---written by a homeschool mother of 10---is for you. Personal insights and Bible-based wisdom gleaned from years of experience will bolster your resolve and confidence, and help you balance it all without sacrificing your own well-being. 288 pages, softcover from Broadman & Holman. It is heartbreaking to hear Christians belittle or minimize the significance of the precious gift called marriage. The Bible teaches that parents are to actively prepare their children for it, that couples are to rejoice in it, and that the Church is to reinforce it. Approx. 60 min. audiocassette. Can you imagine attending a wedding where the family of the bride prayed for her to have vast legions of children who would grow up to have dominion in the land for the glory of God? This was precisely the blessing offered by the sisters of Rebekah upon her marriage to Isaac. These sentiments beautifully harmonize with Scripture passage after Scripture passage which extol the virtue of trusting the Lord to control the womb and the necessity that believers be fruitful and multiply. For six-thousand years, believers viewed children as a blessing and reward of the Lord greatly to be desired. It was widely accepted that those who cut off their seed usually did so in violation of the express commands of God. Only in the last seventy-five years have child prevention and birth control become acceptable in the Church. Perhaps more than any other philosophical shift in the history of the Church, the modern anti-child philosophy has changed the way we view the role of fathers and mothers as well as the meaning of family life and multi-generational faithfulness. But genuine questions persist: Does the Bible address the question of child prevention? Is cutting off the godly seed ever an act of “good stewardship?” Are economic considerations a valid biblical ground for closing the womb? What about “natural” family planning? What about families that cannot have children? Is the widespread use by Christians of the “pill,” a child prevention device with abortifiacient potential, bringing judgment on the Church? Be Fruitful and Multiply answers these questions and makes the case that Christians should do more than just “trust God” for children, we should cry out to the Lord to bless the fruit of the womb. Paperback. Approx. 220 pgs. In Victory for Daughters, four home-schooled young ladies, now in their twenties, rise to extol the virtues of biblical womanhood and exhort their sisters in Christ to give their hearts to their fathers and embrace a vision of victory for womanhood. A double-minded man is unstable in all his ways. The same is true of double-minded parents. Across America there are evangelical parents who desperately want their daughters to grow to be virtuous women with a love for home. Notwithstanding these good intentions, many of these same parents continue to build their daughters' future on a feminist model. Frankly, most Christians are unaware that the Bible offers clear guidelines for how wise parents can invest their daughters' time for the glory of God. This tape offers hope and direction for the woman of God who desires to cultivate virtue while fully exercising her gifts. By Douglas Phillips. Approx. 60 min. 1 cassette. 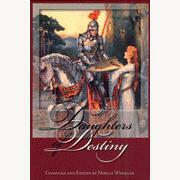 Daughters of Destiny is a triumphant proclamation of the joy of feminine virtue. This book is a compilation of true stories, some harrowing, and each more thrilling than the last. Noelle Goforth reveals to the reader the many character qualities of the woman of God: her love of home, her servant-like spirit, her confidence in Christ, her fervor in defense of family and freedom. You will meet frontier wives, patriot daughters, and faithful ladies who labored in the cause of Christ. This book is a compilation of true stories of those past women of faith and fortitude that God Almighty has given as a holy testimony of courage. Hardback. 249 pgs. 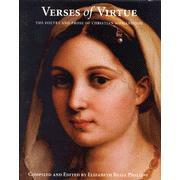 Full of virtue, timeless advice, and common sense, this classic volume is a primer on developing godly character. 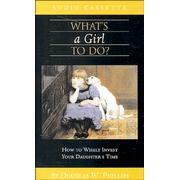 Offering biblical wisdom on the issues preteen girls face every day---friendship, modesty, honesty, ideals, purity, becoming a Christian---this original unabridged version will help your young ladies reach "the perfection of womanhood." 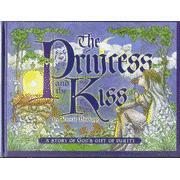 "A princess receives a gift from God—her first kiss—to keep or to give away. Who is worthy of her precious gift? The surprising answer will touch the heart of parent and child alike." This is a BEAUTIFUL, WONDERFUL book written in a fairy tale style to children. The first time I read it I was teary-eyed by the end. Then I gave it to my husband to read and HE was teary-eyed by the end. It is a wonderful allegory of saving your first kiss until marriage. A very sweet way to teach your children what a precious gift this is. Makes a wonderful gift for little girls. Hardcover. There's more to having good manners than knowing which fork to use. Ultimately, manners are an outward expression of a loving attitude. In this charming book, Barnes teaches your 6- to 10-year-olds proper etiquette for mealtime, meeting and greeting strangers, answering the telephone, and more---all in the context of caring for others. 32 pages. Hardcover. 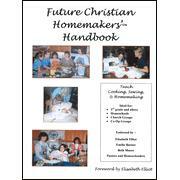 Here's the perfect tool to "train up" your daughters to become godly homemakers! Latour's back-to-basics course offers practical instruction in cooking, sewing, and cleaning, and also features wisdom-filled devotions on topics such as servanthood, thrift, real beauty, and more. The bulk of the text focuses on cooking, featuring step-by-step recipes and before/during/after cooking tips. Includes resources, index, and certificates of achievement. 210 reproducible pages, spiralbound softcover. The Church is being destroyed by sacred cows. A "sacred cow" is an untouchable subject that we are not supposed to discuss. To do so impinges upon another's "Christian liberty." Certainly, there are few sacred cows quite as sacred as the right of modern Christians to dress however they please. But in this groundbreaking work, Jeff Pollard challenges us to embrace God's standard and to understand the historical roots of the rise of immodesty in modern culture. His perspective is thoughtful and balanced. Most importantly, he accomplishes what few authors on this subject have achieved: a treatise that avoids both license and legalism. A courageous booklet. Paperback. 76 pgs. Highly Recommended! Low-rise jeans, belly-button rings, backless shirts, bare midriffs---immodesty is today's fashion statement. 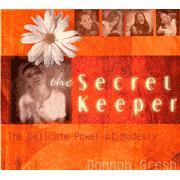 It's also a sin, says Gresh, but you can help your daughters learn the lost art---and power---of modesty. Discover the connection between external appearance and internal humility; and why God cares about every aspect of our lives, including clothes. 80 pages, softcover from Moody. 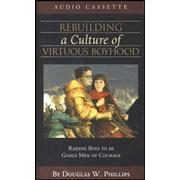 In this fast-paced message, Doug Phillips explains that the greatest gift a dad will ever give away is his daughter. 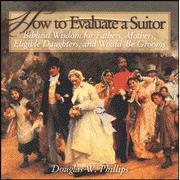 He examines the biblical qualifications for suitors and concludes that the Bible does not anticipate perfection, but minimal threshold requirements must be met. He examines the need for careful discrimination for determining if two are “equally yoked” and the doctrine of the “bride’s price.” Doug also points out biblical examples of wickedness by fathers toward suitors and urges dads to act decisively, but with charity, respect, and love. 2 Audiocassettes. Approx. 1 hr. 20 mins.